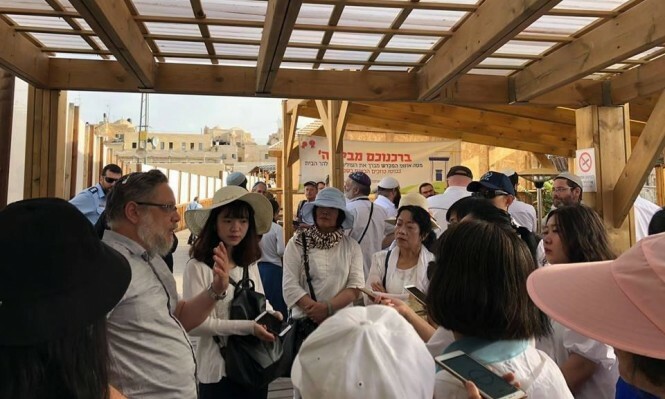 Jews now holding tours of Temple Mount for non-Jews! 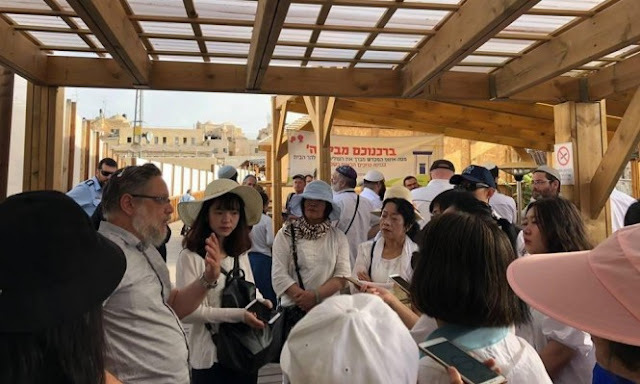 The article says that "a group of rabbis and settlers" took a group of Chinese tourists through the Temple Mount area, describing where the Temple stood. According to the article, "this is the first time that a foreign delegation has participated in breaking into the Aqsa Mosque." Obviously there are foreign tourists at the site all the time, but only when Jews walk around the periphery is it called "breaking into Al Aqsa Mosque." It is a great idea for Jews to show Christians and other tourists the truth about the Temple Mount.